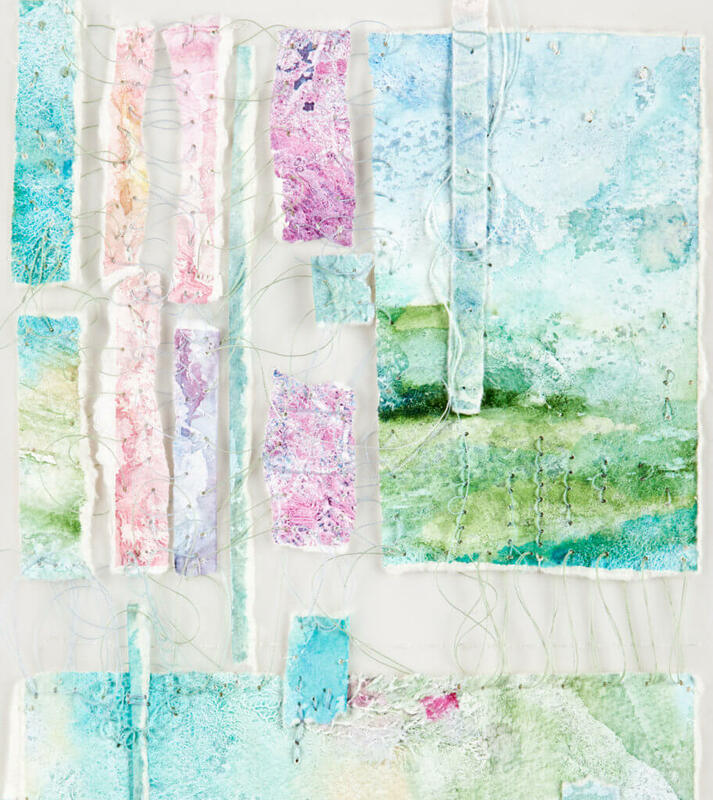 I cherish the process of making collages, touch of paper... spontaneous decision of matching colours and textures. Nevertheless, I prioritise intricacy. I employ a needle and thread (instead of a pencil) as mark-making tools. I often listen to music and find myself being captured in random rhythm while I work. 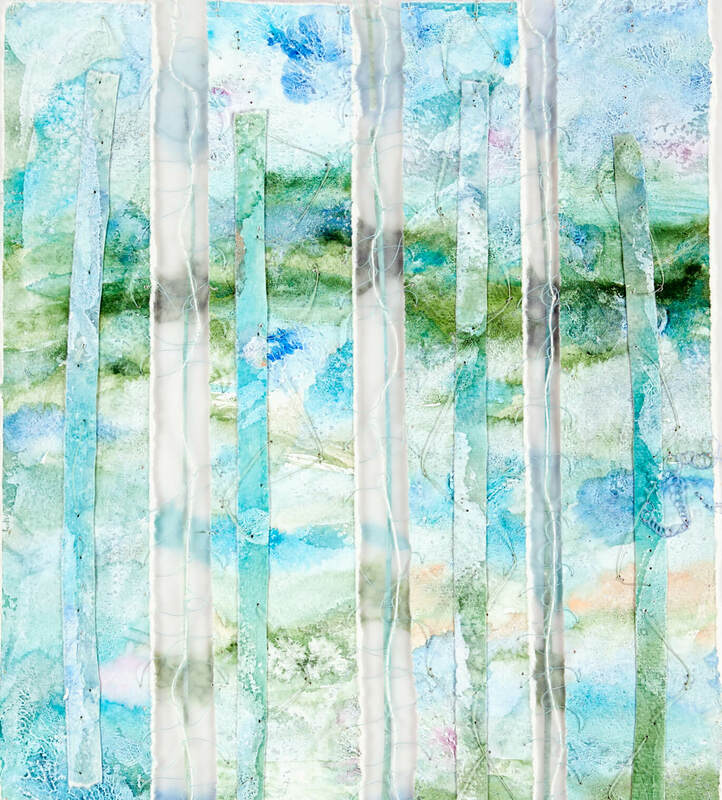 My work has been shaped by views of surroundings and voices from inner feelings. In this show, I concentrated on colours and composed collages within forms of the subtle hues.